Alexa: How did you come up with the characters in your books? I'm especially curious to hear how their personalities (quirks and all) came to be. This question is probably most specifically about Cinder, Kai, Iko, Scarlet, Wolf & Thorne. Marissa: When I'm lucky, they pop into my head rather fully formed. 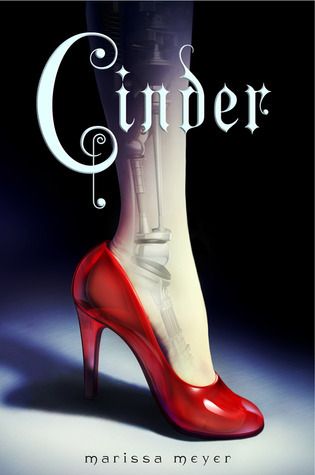 Cinder was this way - from the start, I knew that she was brilliant with mechanics but struggling with self-consciousness over her cyborgness and low social status. I knew she used sarcasm as a defense mechancism. I knew she was fiercely loyal and brave, and that even though she's a tomboy, she's not immune to the prince's charms. It was the same with Wolf and Thorne - two of the leading men who show up in Book 2. They haven't changed much from my original perceptions of them, and it's always fun to start writing a character and feel like you're recording what a real person is saying and doing, as opposed to having to make it all up on my own. My two struggle characters were Kai and Scarlet. In both cases I was trying to force them to be certain things that they didn't want to be. With Kai, I'd initially expected him to be very arrogant and overconfident around Cinder. But it was never working. Finally I just relaxed and was like, Okay Mr. Prince, what do YOU want to be? That's when his true personality started to shine through - sweet and down-to-earth and snarky and conflicted between his duty to his country and his desire to be a normal boy with a crush on a "normal" girl. Once I let that happen, writing his character became a lot easier. Similarly with Scarlet, in the first draft she was kind of whiney and depressed (to her credit, she is going through some pretty bad stuff at the start of the book), but she didn't want to be whiney and sad - she wanted to be ferocious and angry and ready to do something about it. So again, once I let go of my preconceptions and let her do her own thing, she became a much more interesting character. And then once in awhile you get a character like Iko, who I'd THOUGHT I'd had figured out before I started writing the book (boring average robot character), but as soon as she rolled onto the page, she took charge and started doing and saying the craziest things. I wasn't expecting it at all, but I just went with it, and now she's one of my favorite characters! I love it when that happens. Marissa: Katsa from Graceling - She's smart, talented, resourceful, brave, and not afraid to be herself. The Weasley Twins from Harry Potter (yes, I'm grouping them as one character - they cannot be separated!) - Not only are they HILARIOUS, but they're also brilliant businessmen and so loyal to their loved ones. Scarlett O'Hara from Gone with the Wind - She's a rather horrible person, and yet it's impossible not to admire her strength and tenacity. It's a fairytale retelling, but it goes above and beyond any fairytale retelling I've ever read. I love the way that Marissa created these characters that I could fall in love with and root for, and I also think that her plot and her story can only keep getting better! I really need to read this book! It seems that today everyone is talking about it! I love the idea of Cinder being a Cyborg ... it just sounds so cool! And yes! The Weasley twins! Definite favourites. Good pick! I've had Cinder on my TBR list for quite some time and after seeing Marissa speak at the BookFest and reading her amazingly candid interview, I'm definitely more inclined to pick up the book sooner (rather than later). Great job, ladies! Wow this is JUST what I needed to read! Hooray! Marissa created some fantastic characters with Cinder and I'm super excited to read the next chapter in Scarlet! Will read this someday (: That's cool that you got the chance to interview her! !